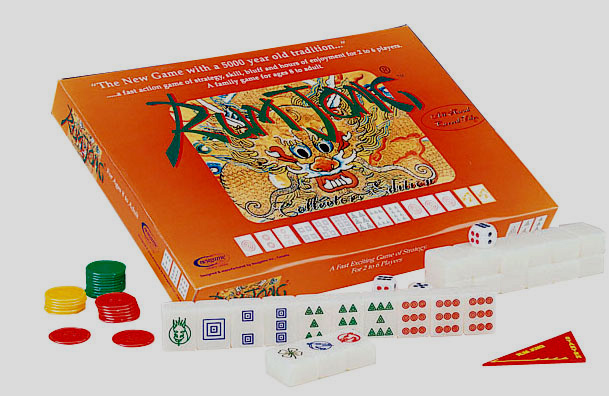 Rum Jong is a fast and exciting game that can be played between 2 to 6 players and appeals to all ages. As with Mah Jong, the game of Rum Jong has its roots in ancient China and is comprised of 124 carved tiles of different suits and symbols. The tiles are collected and discarded by players one by one as they try to build sets, much like Gin Rummy, until one of the players acquires a winning hand. Great for anyone from teen to adult - Or play the solitaire version by yourself.